Open a sparkling series of adventures above and beyond our world. 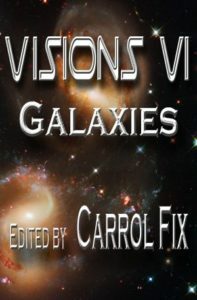 A talented group of authors have banded together to create an unequaled science fiction experience. Soar above the earth in space elevators, space stations, and space ships. Peer into the future and discover marvels of science and civilization. 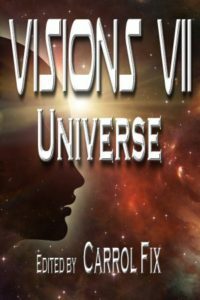 Brilliantly crafted stories produce imaginative visions of how we will live and travel in the future. 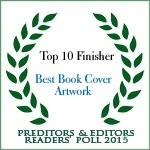 Read a review from Perihelion Online Science Fiction Magazine here. 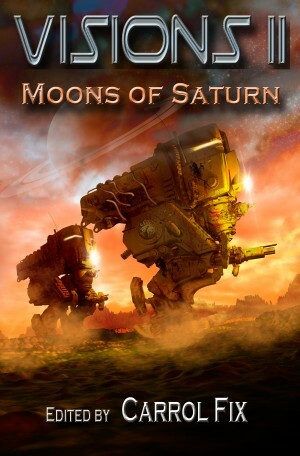 Ice mining in space, colonization of extraterrestrial moons, war between interplanetary corporations, and time travelers bent on destruction, with mighty Saturn as the backdrop. The theme, Moons of Saturn, provided inspiration for the creation of widely divergent tales centered about the mysterious planet and its system. NASA’s Cassini Missions have captured stunning images of Saturn, its mesmerizing Rings of ice and rock, and its 53 officially named moons. These twelve authors present their visions of the Saturn System’s promise, as rich and diverse as the reality of Saturn, its Rings, and moons. From the Sun to the borders of the Solar System, Visions III: Inside the Kuiper Belt looks at the ways humankind will explore. After the Inner and Outer Planets become part of the known and inhabited systems, humans will venture outward, to the Kuiper Belt and the Oort Cloud, laying claim to everything within the System’s boundaries. Imagine the deepest regions of space between the stars of the Milky Way. Cold, empty, silent, and vast. In the quest to achieve immortality for our species, humankind will reach those realms. What will they see? What dangers will they overcome, in the dark recesses between stars? Fifteen talented science fiction authors share their visions of how our descendants will live and die in deep space. Humankind has forded the immense stream of space between stars and reached our nearest solar neighbors. What will we discover on hospitable planets circling those new stars? Will we find almost familiar moons, asteroids, planetary rings? Or, could there be never before seen astronomical formations? The sky is no longer the limit for our soaring imaginations, because somewhere out there is a potential haven for the remnants of our beleaguered civilization. SHORT & HAPPY (or not) brings together authors from English speaking countries around the globe and a sprinkling of others who enjoy life in non-English speaking countries. Their stories cover just as wide a spectrum of subjects. Humor (or humour), light romance, science fiction, fantasy, memoir, satire, reflection, exotic locales … it’s all here in bite-sized pieces. Seventeen original stories by English-speaking authors from various corners of the globe. Some of the stories are potpourri, subtle clouds of poignant fragrances, while others are awash with the stench of human evils. Some open wide windows to the smallest of domestic detail, and some observe cogs in the greatest of cataclysms. This book has everything from humor to fantasy to true-to-life historic fictions, even to a gaze into possible futures. Flash fiction at its finest. The perfect companion for a lunch break, a coffee break, or a relaxing afternoon. It takes only moments to read one of these 57 speculative fiction capsules—transporting and immersing you in thrilling worlds of dreams and ideas. 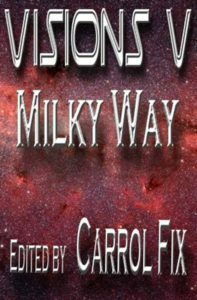 Step over the border of reality and wander through the dazzling visions of 31 talented science fiction authors. 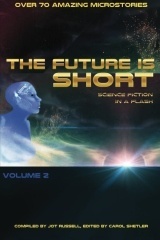 Relish each story in a tiny bite of speculative fiction entertainment and adventure; catching glimpses of miniature worlds of the future in fresh flights of science fiction imaginings. Escape into this fascinating collection of 725-word stories that carry you into realms where imagination rules and time is conquered. Wonders and horrors of science thrill and amuse in this sparkling collection. Discover tales of alien love and hate, inspiration and revenge. Visit with ghosts on Mars. Laugh with aliens at human lifestyles, reproduction, and actions. Explore a universe of heaven and hell redefined. Science fiction anthology of microstories (flash fiction) based on the best from the second year of the Science Fiction Microstory Contest on LinkedIn’s Sci-Fi group. 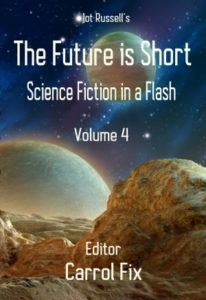 56 exciting flash fiction stories, with a beginning, a middle, and an end, providing mini escapes to extraordinary new worlds. 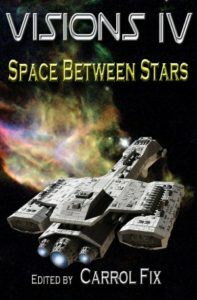 You will discover strange planets, unexplored places and times, and characters that demand you never forget them. 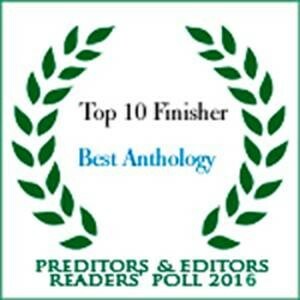 Experience the power of Flash Fiction! 47 thrilling, science fiction stories, each less than 900 words. New and established authors try their hands at writing to monthly prompts, vying for the coveted title of Science Fiction Microstory Contest Champion. Could you do this? How well do you think you would succeed? Check the prompts and see how each author met the Challenge.